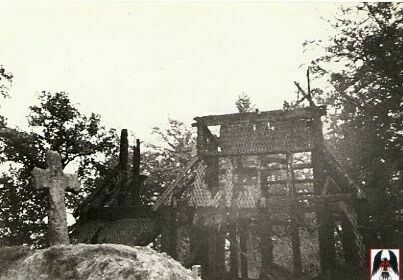 Some years ago, several old Norwegian churches of great cultural importance were set on fire. 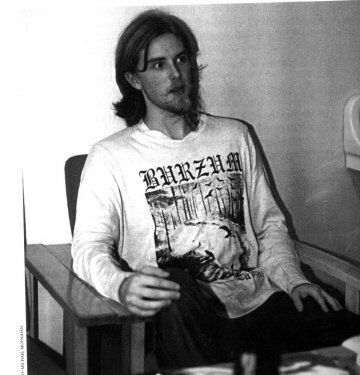 The man finally brought to trial for arson was Varg Vikernes (1973-), commonly referred to as a Satanist, but more accurately described as a deeply anti-Christian and anti-Semite anti-just-about-everything Black Metal musician who claims that he believes in Old Norse gods like Odin and Thor. Though it is generally assumed that he was guilty as hell, there was not enough evidence to have him convicted. Only days later he was arrested again, this time for one of the most brutal murders ever committed in Norway. The court did not buy his story that he had to stab the poor guy scores of times in self-defense, and he was convicted to twenty-one years in prison. He laughed when the sentence was being read. His motive for committing the murder remains unclear; some think that he simply loved to see his face in the papers. 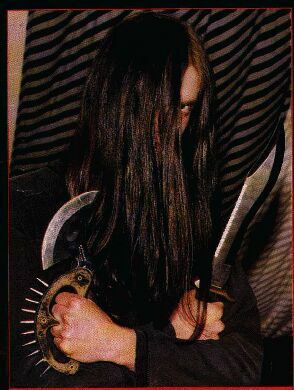 By the way, the man he killed was a member of another black metal band, Mayhem. Here are Varg's thoughts on the subject. Burnt down church, hmmmmm. 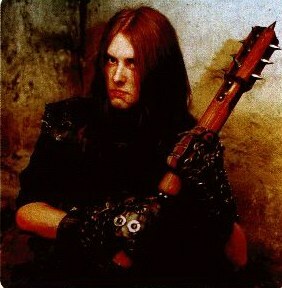 Bad Varg, bad. All information and photos shamelessly ripped off from other pages, so here.